This article is about the Verdi opera. For the Bloch opera, see Macbeth (Bloch). For other uses, see Macbeth (disambiguation). Macbeth (Italian pronunciation: [ˈmakbet; makˈbɛt])  is an opera in four acts by Giuseppe Verdi, with an Italian libretto by Francesco Maria Piave and additions by Andrea Maffei, based on William Shakespeare's play of the same name. Written for the Teatro della Pergola in Florence, it was Verdi's tenth opera and premiered on 14 March 1847. Macbeth was the first Shakespeare play that Verdi adapted for the operatic stage. Almost twenty years later, Macbeth was revised and expanded in a French version and given in Paris on 19 April 1865. After the success of Attila in 1846, by which time the composer had become well established, Macbeth came before the great successes of 1851 to 1853 ( Rigoletto , Il trovatore and La traviata ) which propelled him into universal fame. As sources, Shakespeare's plays provided Verdi with lifelong inspiration: some, such as an adaption of King Lear (as Re Lear ) were never realized, but he wrote his two final operas using Othello as the basis for Otello (1887) and The Merry Wives of Windsor as the basis for Falstaff (1893). The 1865 revision, produced in a French translation and with several additions was first given on 19 April of that year. It was less successful, and the opera largely faded from public view until the mid-20th century revivals. Influenced by his friendship in the 1840s with Andrea Maffei, a poet and man of letters who had suggested both Schiller's Die Räuber (The Robbers) and Shakespeare's play Macbeth as suitable subjects for operas,  Giuseppe Verdi received a commission from Florence's Teatro della Pergola, but no particular opera was specified. He only started working on Macbeth in September 1846, the driving reason for that choice being the availability of a particular singer, the baritone Felice Varesi who would sing the title role. With Varesi under contract, Verdi could focus on the music for Macbeth. (Maffei was already writing a libretto for I masnadieri , which was based on the suggested Schiller play, but it could have been substituted for Macbeth had the baritone not been available.) As a result of various complications, including Verdi's illness, that work was not to receive its premiere until July 1847. Writing to Piave, Verdi made it clear how important this subject was to him: "....This tragedy is one of the greatest creations of man... If we can't make something great out of it let us at least try to do something out of the ordinary". In spite of disagreements and Verdi's need to constantly bully Piave into correcting his drafts (to the point where Maffei had a hand in re-writing some scenes of the libretto, especially the witches' chorus in Act 3 and the sleepwalking scene   ), their version follows Shakespeare's play quite closely, but with some changes. Instead of using three witches as in the play, there is a large female chorus of witches, singing in three-part harmony (they are divided in three groups, and that every group sings as a single witch, using "I" and not "we"). The last act begins with an assembly of refugees on the English border, and, in the revised version, ends with a chorus of bards celebrating victory over the tyrant. The Three Witches, also known as the Weird Sisters or Wayward Sisters, are characters in William Shakespeare's play Macbeth. They hold a striking resemblance to the three Fates of classical mythology, and are, perhaps, intended as a twisted version of the white-robed incarnations of destiny. The witches eventually lead Macbeth to his demise. Their origin lies in Holinshed's Chronicles (1587), a history of England, Scotland and Ireland. Other possible sources, aside from Shakespeare's imagination, include British folklore, such contemporary treatises on witchcraft as King James VI of Scotland's Daemonologie, the Norns of Norse mythology, and ancient classical myths of the Fates: the Greek Moirai and the Roman Parcae. Productions of Macbeth began incorporating portions of Thomas Middleton's contemporaneous play The Witchcirca 1618, two years after Shakespeare's death. As early as 1852 Verdi was asked by Paris to revise his existing Macbeth in that city. However, nothing transpired but, again in 1864, Verdi was asked to provide additional music - a ballet and a final chorus - for a production planned at the Théâtre Lyrique (Théâtre-Lyrique Impérial du Châtelet) in Paris. In a letter to his publisher, Giulio Ricordi, asking for a copy of the score, Verdi stated that "I would like to lengthen several pieces to give the opera more character",  but he quickly realized that the proposed additions would not be sufficient and that an overhaul of the entire opera was required. He went ahead to advise the impresario of the Lyrique, Léon Carvalho, that more time was needed and urged patience: "I am labouring, labouring, labouring" he assured the impresario  and stressed that he wanted to look at the big picture and not try to hurry along a re-working of an opera he had written so many years before. So began a revision of the original version of 1847 over the winter of 1864/65. Verdi's librettist from years before, Francesco Maria Piave, was pressed into service to expand the opera and the composer exerted his usual pressures on him as he had done from their first collaboration: "No, no, my dear Piave, it won't do!" was a typical reaction to a first draft—in this case it was of Lady Macbeth's new act 2 aria "La luce langue",  the result of which (notes biographer Mary Jane Phillips-Matz) was "from Verdi's insistence came Lady Macbeth's gripping scene". With the addition of music for Lady Macbeth, Macbeth's aria in act 3 was completely re-written—as was a considerable amount of the rest of act 3; a ballet was added in act 3; a chorus began act 4; and the ending of act 4 was also changed, Verdi being determined to drop Macbeth's final aria Mal per me che m'affidai ("Trusting in the prophecies of Hell") in favour of an off-stage death, to end with the triumphal chorus. The new version was first performed on 21 April 1865 in a French translation by Charles-Louis-Étienne Nuitter and Alexandre Beaumont, although Verdi had asked for it to be done by Gilbert Duprez, the tenor-turned-teacher in whom he had great confidence and whom he knew from his performances in his first opera for Paris, Jérusalem in 1847. The composer refused to attend the Paris performance, but provided directions via his publisher, others directly to Escudier. Initially, the reports from Escudier were favourable, but the first performance was poorly received by the critics, something which puzzled the composer: "I thought I had done quite well with it...it appears I was mistaken" he stated when he wrote to his Paris publisher, Escudier. Later performances in Paris fared no better. 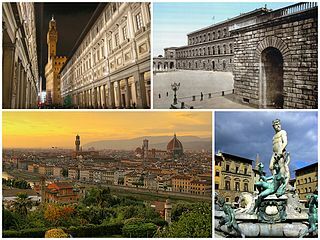 In Italian, the opera was given at La Scala in the autumn of 1865, but few if any others in Italy appear to have been presented. Since its revival in Europe from the 1960s, the revised version of Macbeth in Italian remains the preferred version for modern performances. The first version was given its United States premiere in April 1850 at Niblo's Garden in New York with Angiolina Bosio as Lady Macbeth and Cesare Badiali as Banco, while the United Kingdom premiere took place in October 1860 in Manchester. After the 1865 premiere of the revised version, which was followed by only 13 more performances, the opera generally fell from popularity. It was given in Paris in April 1865 and then occasionally up to about 1900. However, after that, it was rarely performed until after World War II. Glydebourne revived it in the 1950s but it was not until 1959 that it appeared on the Metropolitan Opera's roster for the first time and has often been performed there since then.  . The Opera Guild of Montreal also presented it in 1959. Similarly, the first presentations at the Royal Opera House, Covent Garden, with Tito Gobbi (and then others in the title role) took place on 30 March 1960, with other productions presented in 1981 and 2002. The visiting "Kirov Opera" (as today's Mariinsky Opera was then known), presented it in London at Covent Garden in 2001. In recent times, the opera has appeared more frequently in the repertories of companies such as the Washington National Opera (2007) and the San Francisco Opera (Nov/Dec 2007) and in many other opera houses worldwide, but almost all productions stage the revised version in Italian. However, the 1847 version was given in concert at the Royal Opera House on 27 June 1997  and both the original and the revised versions were presented in 2003 as part of the Sarasota Opera's "Verdi Cycle" of all the composer's operas in their different versions. Groups of witches gather in a wood beside a battlefield, exchanging stories of the "evils" they have done. The victorious generals Macbeth and Banco enter. The witches hail Macbeth as Thane of Glamis (a title he already holds by inheritance), Thane of Cawdor, and king "hereafter." Banco is greeted as "lesser than Macbeth, but greater", never a king himself, but the progenitor of a line of future kings. The witches vanish, and messengers from the king appear naming Macbeth Thane of Cawdor. Macbeth protests that the holder of that title is still alive, but the messengers reply that the former Thane has been executed as a traitor. Banco, mistrusting the witches, is horrified to find that they have spoken the truth. In a duet, Macbeth and Banco muse that the first of the witches' prophecies has been fulfilled. Macbeth ponders how close he is to the throne, and whether fate will crown him without his taking action, yet dreams of blood and treachery: while Banco ponders on whether the minions of Hell will sometimes reveal an honest truth in order to lead one to future damnation. A gang of murderers lie in wait. Banco, sensing danger shares his misgivings with his son. (Come dal ciel precipita / "O, how the darkness falls from heaven"). The murderers attack and stab him to death, but his son escapes. ↑ "Macbeth" - DiPI Online. ↑ Verdi to Clara Maffei, 12 May 1858, in Phillips-Matz, p. 379. He wrote: "From Nabucco , you may say, I have never had one hour of peace. Sixteen years in the galleys!" ↑ Verdi to Ricordi, 11 April 1857, in Budden, p. 274: Maffei's contributions were "with the consent of Piave himself"
↑ Casaglia, Gherardo (2005). 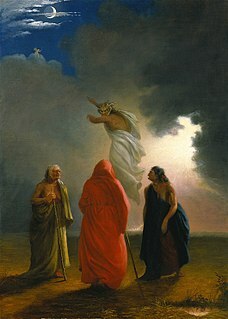 "Macbeth, 19 April 1865" . L'Almanacco di Gherardo Casaglia (in Italian). Wikimedia Commons has media related to Macbeth (opera) .